Bell, pump , tires and light original to the bicycle. Missing reflector. I dont believe the peddles are original. NOS grips and vintage kickstand added. Kickstand that came with bicycle included but dont think its original. Tire are for display only. 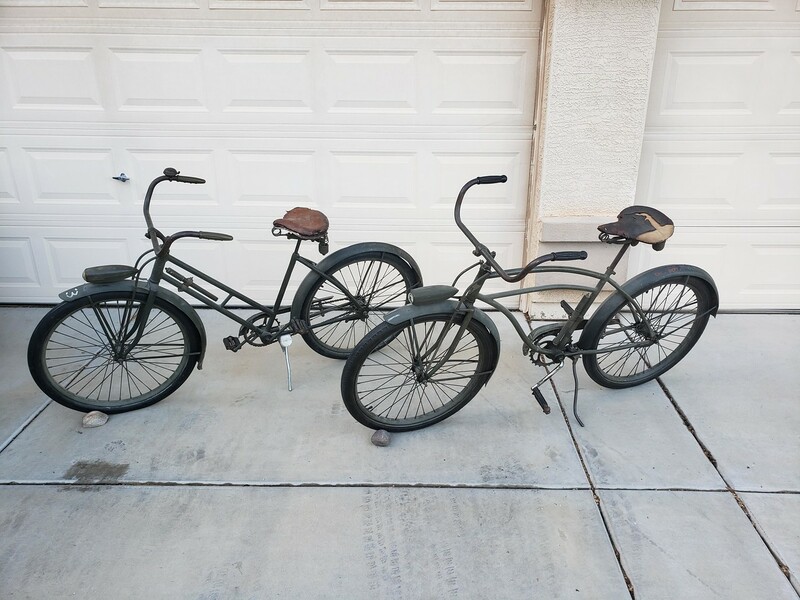 Original bicycles surplussed out of California in the 50s. They are packed up in bicycle boxes right now. Last edited by Craig Johnson on Sun Apr 14, 2019 10:37 am, edited 1 time in total. Always buying anything for the U.S. Army Hand Cart. Parts, manuals, accessories. Even the smallest screw. Re: Columbia and Huffman bicycles for sale. I'm interested in the men's bike. Hi. Let me know what you need from me. Your first in line. Probably answer questions tomorrow. Its 10:30 in Arizona. 1030 in CA too. I'll send a PM. Mens Bicycle sold pending payment.